Hello everyone! I am Tiffany Griffith, thank you for visiting my website! I am originally from Florida, joined the military at 19 where I was moved to Washington State. I lived there for 6 years before moving here to California. I fell in love with photography when I was 15 years old, my dad gave me a 35mm Minolta Film camera. I learned how to use it in College before I joined the military. Film, as well as Black and White Photography have my heart. When I moved to California, I decided to pursue having my own business to try and keep busy while my husband was deployed. This was 3 years ago and I couldn't imagine my life without a camera in my hand. I have a beautiful family. 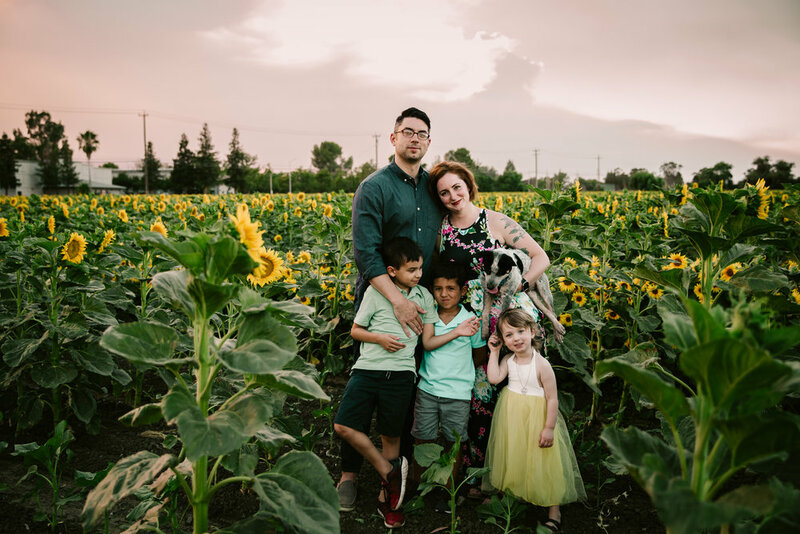 My husband, daughter, 2 step sons and our pup make me the person I am today. They keep me motivated to continue to pursue my passion. I want them to grow up knowing that it is ok to do what you love! We only have one life to live and I truly believe you shouldn't waste it on something you don't love. I don't want to wake up one day and realize I let all these amazing opportunities pass me by just because of "money" or a job that makes me feel "secure". I want to feel alive, and I want to wake up knowing I get to do what I am most passionate about! We all deserve a bit of satisfaction! Most days I am a hot mess. I continuously have to be moving forward and working on the next thing. Its hard for me to sit still. Being a mom is the best thing ever….even when my daughter slaps me in my face or throws herself all over the floor because I turned off the t.v.